On Tuesday, 19 March, Latvian Saeima’s Budget and Finance Committee conceptually supported this year’s state budget project and decided to submit it to the parliament for its first viewing. The committee decided to submit 14 additional legislative drafts associated with the budget, as reported by Saeima’s press-service. The committee has asked the parliament to view the budget project on 20 March, as confirmed by Saeima’s Budget and Finance Committee’s chairman Mārtiņš Bondars. This year’s budget project was formed with certain corrections in already initiated activities. It does not include any new initiatives. Consolidated budget revenue is planned at EUR 9.2 billion, whereas expenditures – EUR 9.4 billion, budget committee members were told by Prime Minister Krišjānis Kariņš. Compared to the previous year, budget revenue is planned to be 416 million euros and expenditures 430 million larger. The deficit of the general government budget is planned at 0.5% of GDP, whereas GDP growth is planned at 3%. The 2019 budget draft has been successfully coordinated with the European Commission. It fits fiscal discipline requirements and provides stable funding for many industries. In spite of the government’s commitment to avoid new political initiatives and review base expenditures of the budget, it is planned to allocate financing for several immediate measures. 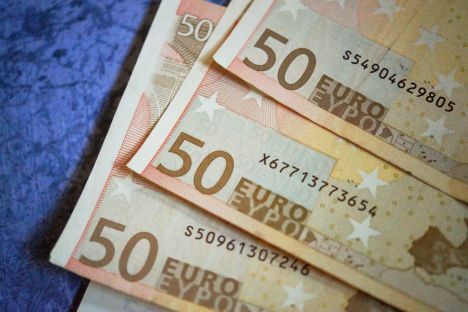 EUR 7.2 million is planned to be allocated to implement the plan for the prevention of money laundering and terrorism financing. Funding is also planned to help improve the capacity of institutions supervising the financial market. To ensure compliance with the plan to allocate 2% of GDP for the country’s defence sector, it is planned to divert EUR 60.3 million this year. Additionally, EUR 3 million will be allocated to finance function of public media, Ombudsman’s Bureau, State Audit and other independent institutions. EUR 41.3 million is planned to ensure payment of benefits to interior affairs sector’s employees for every five years of work experience, as well as EUR 8.9 million – to increase wages of judges and prosecutors in accordance with the ruling of the Constitutional Court. EUR 87.5 million is planned to be spent on increasing the lowest wages of healthcare employees, and EUR 11.4 million – to raise wages of teachers. It is also planned to allocate EUR 10.4 million for pension indexation and support of pensioners whose spouse has died. EUR 5.4 million will be allocated to cover costs from the Maintenance Guarantee Fund. EUR 3 million will be allocated to finance better accessibility of medicine to treat rare diseases. The state budget will also allocate EUR 2.7 million to increase child care benefits and benefits for adults suffering from disabilities from childhood. EUR 1 million will be allocated to increase benefits for every adopted child, whereas EUR 4.8 million – to increase wages of social care workers. In order to ensure the publication of remaining KGB documents, it is planned to allocate EUR 168,000 for this. EUR 400,000 is planned to be allocated to finance preparation of Latvian Olympic and Paralympic athletes for the 2020 Olympic Games in Tokyo. To reduce grey economy in Latvia it is planned to adopt additional measures to further limit accessibility of non-licensed gambling and lotteries, as well as reduce the volume of cash money in real estate and vehicle alienation cases. It is also planned to adopt advance payment system for road vehicle transports. Measures aimed at limiting grey economy in healthcare, public catering, accommodation, passenger transports and security services sectors will be continued. Budget revenue section, among other things, includes plans for adoption of stricter control measures for state and regional road usage fees, abolishment of natural tax for single-use dishes and other kitchen utensils, as well as termination of payments of benefits for children who have stopped studies and instead have entered employment.